When it comes to partying, #ATMRP always gets it right. The only place in#Mumbai that offers you booze at mrp, sheesha, live gigs, fusion delicious food, rooftop ambiance, karaoke nights, and so much more. 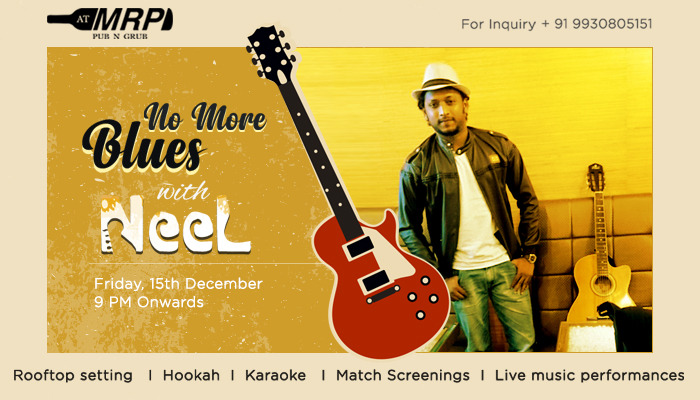 This weekend head to ATMRP to watch #Neel perform live on all your favorite #Bollywoodsongs. RSVP +91 9930805151 for reservations.